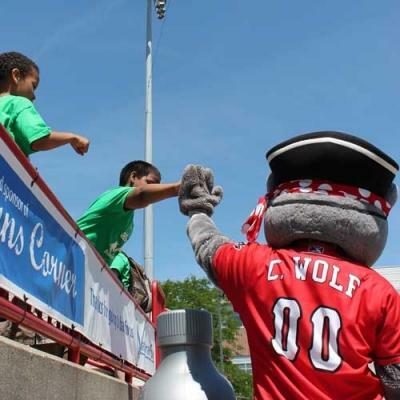 SeaWolves start game one down, end with victory. In what started as a rained-out game on April 10, the Erie SeaWolves began playing host to the Binghamton Mets already down by a run in the bottom of the fourth in this August 9 make-up match. Back in April, the Mets' lone run was scored by shortstop Daniel Muno. Left-handed Pitcher Matt Crouse (7-9, 4.72) played a key role in the continued game, allowing only one hit and earning no runs. The Howlers won the game by a score of 4 to 2 in the first game of the double header. Left fielder Tyler Collins started the night off by scoring center fielder Jamie Johnson. Collins then scored when catcher Ramon Cabrera singled off of Mets' right-handed pitcher Greg Peavey (1-0, 0.90). The Mets tied it back up in the top of the sixth when designated hitter Rhyne Hughes scored. Hughes was able to tag up and run to home in plenty of time, as Howlers right fielder Luis Castillo made a bad judgment call on a foul ball from Muno. After six, the game was tied at two apiece. The SeaWolves' offense struggled in the middle of the game, going three-up, three-down for Peavey in the fifth, sixth, and seventh. In the eighth, the bases were loaded for shortstop Eugenio Suarez. Suarez went 0-for-5 last night, and grounded out into a double play earlier today. He added to that trend by flying out to center. With two outs and the bases loaded, Collins came through, hitting a two-run single to shallow center field. Castillo and second baseman Marcus Lemon scored, and after eight the Howlers were up 4-2. Crouse came through once again in the ninth, winning the game for Erie. Collins, who scored to all four runs tonight, was named the Iron Man of the game. Peavey lost it for Binghamton. The win tonight ties the SeaWolves (62-54) for first in the western division, while Binghamton still has a 12.5 game lead in the east. Following the second game tonight, the Howlers take on Binghamton on Saturday, August 10 at 7:05 p.m. and Sunday, August 11 at 1:35 p.m.
Adam Unger can be contacted at aUnger@ErieReader.com.